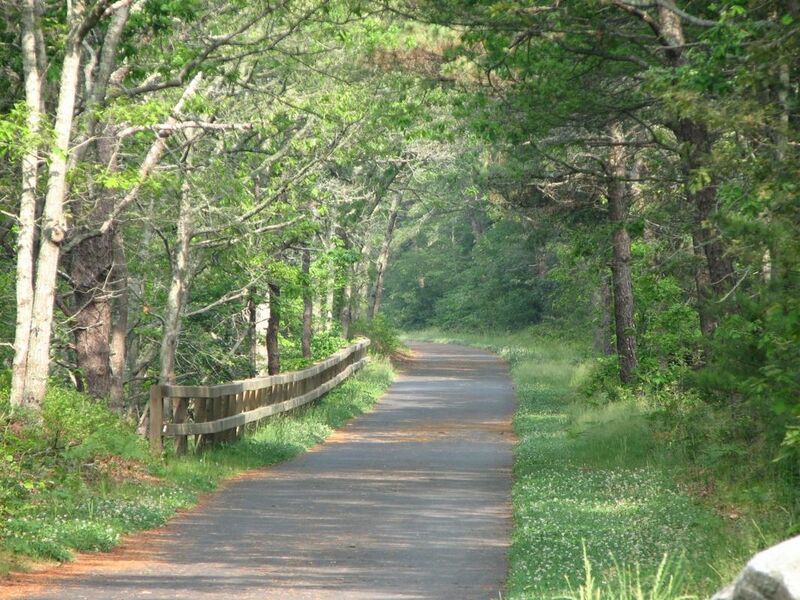 The John Wing Trail leaves from the Brewster Natural History museum and takes you on a boardwalk over the salt marsh to the shore along Cape Cod Bay. 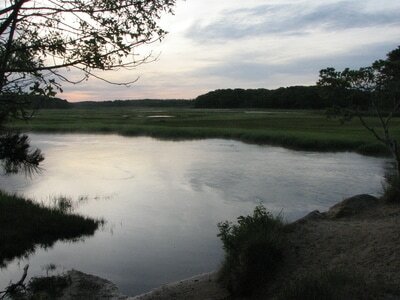 The South Trail brings you along marsh views on the Stony Brook area. 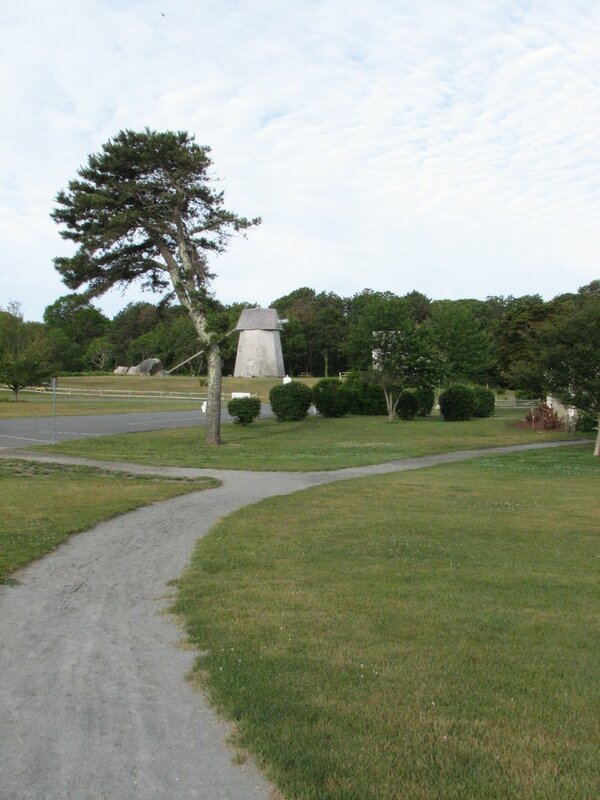 At Nickerson Park, there are many bike trails to walk on, also the Cliff Pond and Flax Pond trails allow you to walk right along the shore around the entire pond. 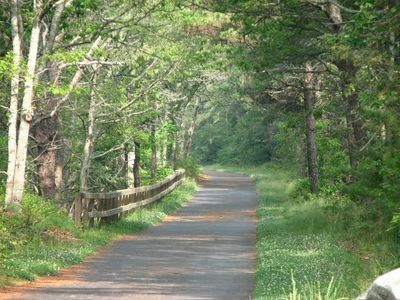 The Eddy Bay Trail is a short trail through interesting woodlands, showing signs of wind damage from Hurricane Bob, ending in a stunning cliff view of Cape Cod Bay. 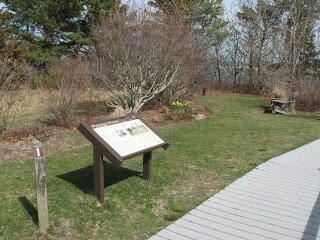 The Eddy Sisters Trail is an interesting trail near the community gardens, through an area of former cranberry bogs. 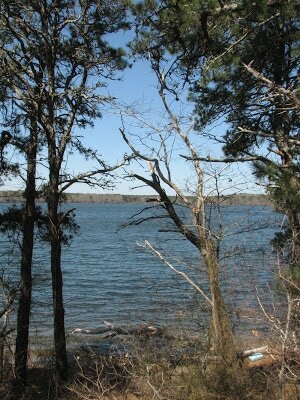 The Punkhorn Parklands is a favorite area with water views on the Eagle Point Trail. 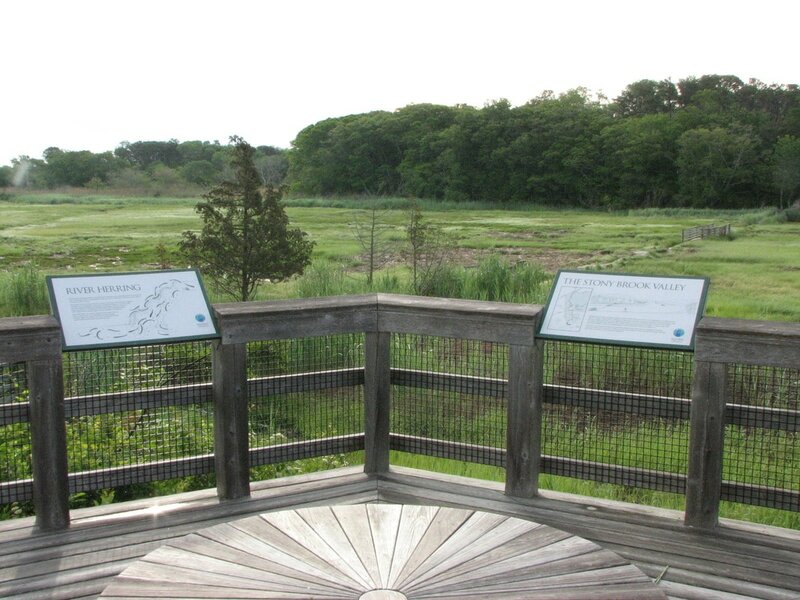 The Training Field Triangle area contains 39 acres of woodlands and a 0.75 trail where you can see a vernal pool and also the 18th century smallpox cemetery; the area was used for military training in the Revolutionary war. The area is adjacent to the 46 acre Barclay's Pond area, with access not only to Barclay's Pond but also to Schoolhouse Pond and Mary's Pond. 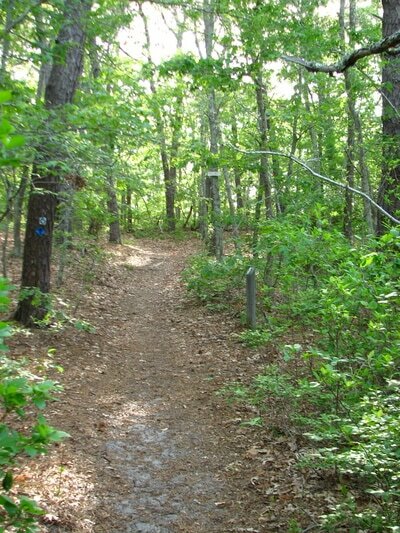 The Old Comers trail is on 11 acres of woodland; many old radio antennas from the early 1900's are present on the property as well as access to Lover's Lake. 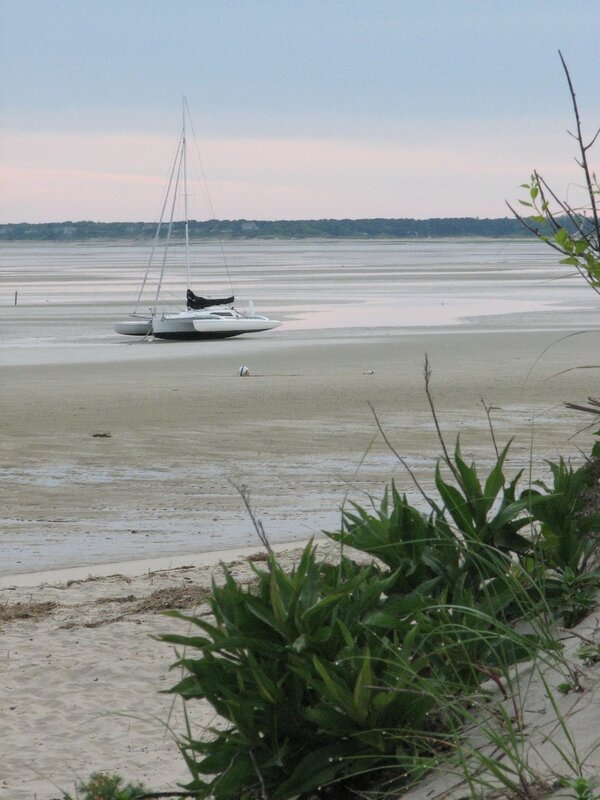 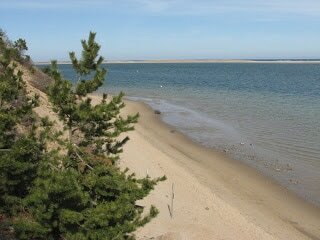 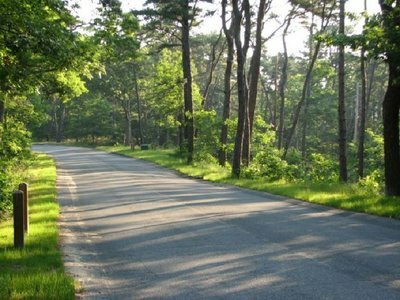 The Morris Island Trail is a 3/4 mile trail to the 40 acre Morris Island in the Monomoy National Wildlife area; the trail brings you to beach along Monomoy Island, tidal flats, salt marsh, sand dunes, and woodlands on the island itself. 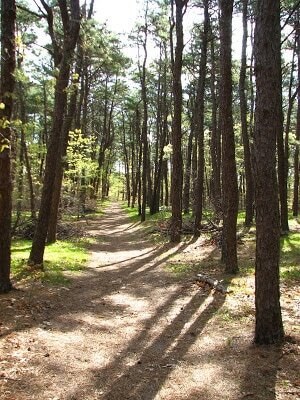 Bell's Neck South is a large area with many trails near and around two beautiful reservoirs. 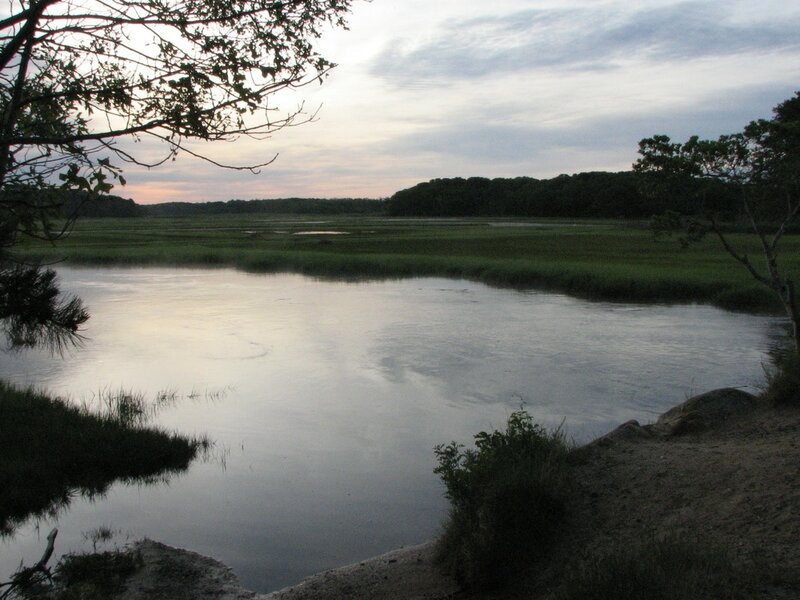 Bell's Neck North brings you through pleasant woodlands to views of Herring River and cranberry bogs in the area. 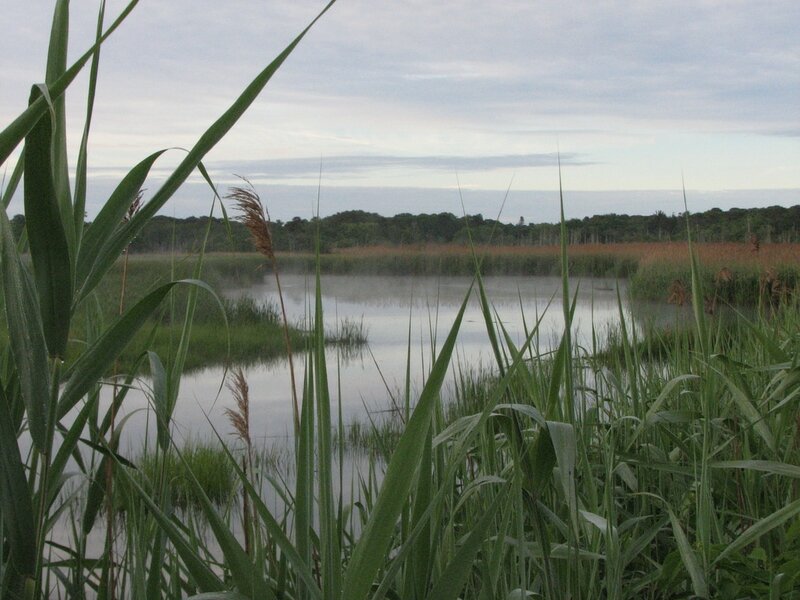 Coy's Brook Conservation area is a beautiful spot with wonderful marsh views, also along Herring River. 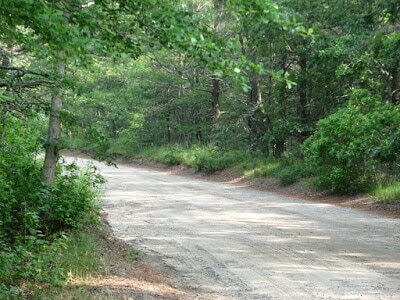 Hawksnest State Park is a large, very underutilized area with many roads and trails for hiking through Cape woodlands. 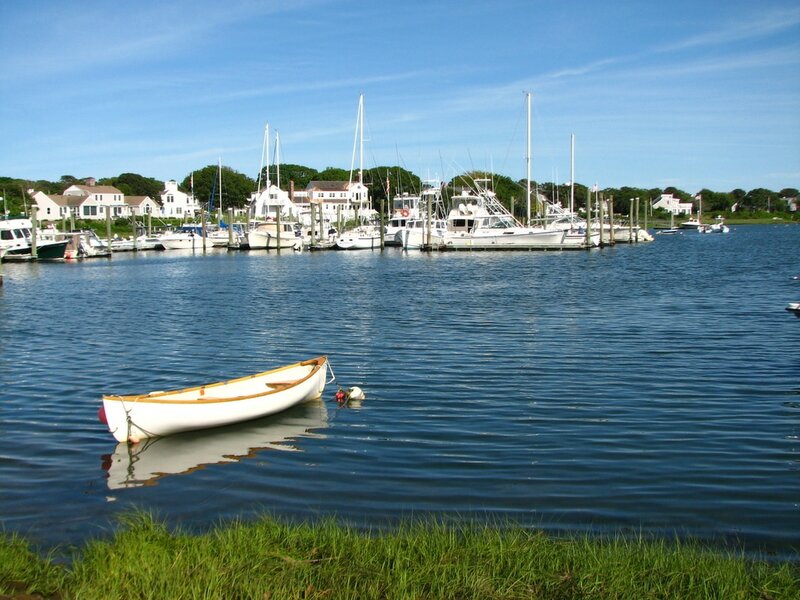 The Monomoy River Conservation area includes 42 acres of land and trails that extend about a mile along the beautiful Monomoy River. 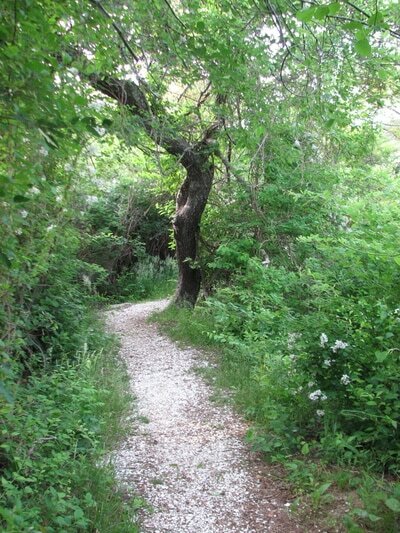 There are many conservation area trails in Orleans. 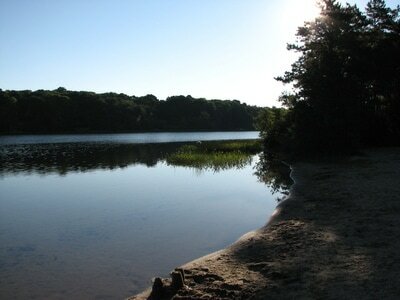 Baker's Pond area is adjacent to Nickerson Park and provides access to nearly 35 acres, and a wide sandy beach at Baker's Pond. 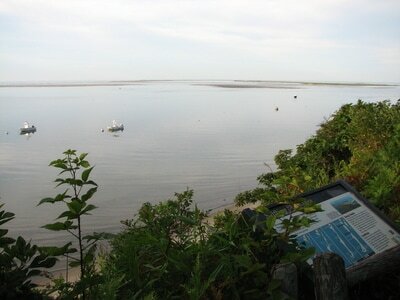 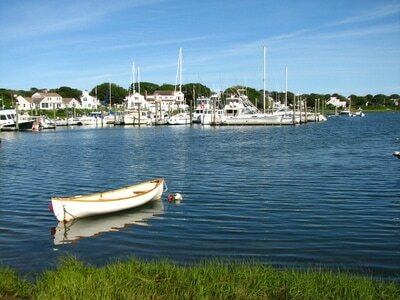 Kent's Point is nearly 30 acres, with access to water views of Pleasant Bay and Frost Fish Creek and Bay. 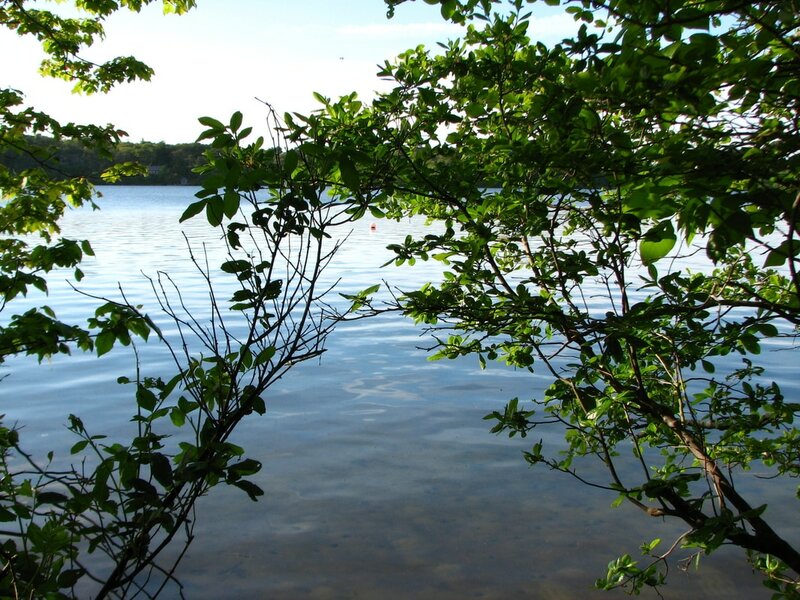 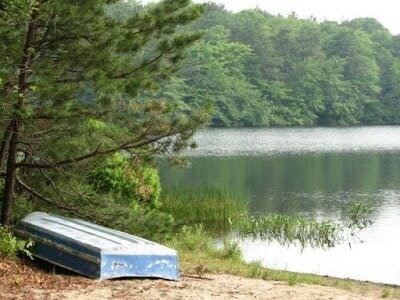 Three Ponds area is more than 125 acres with beautiful views of Twinings Pond, Sarah's Pond, and and Meadow Bog Pond. 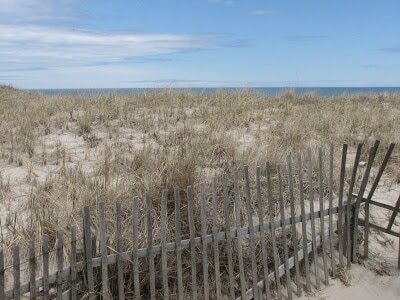 Probably the most popular walking area is Nauset Beach, a long walk or a short walk, that is your choice, but right on the open Atlantic, where you can see seals and surfing, and maybe even spot a great white off shore! 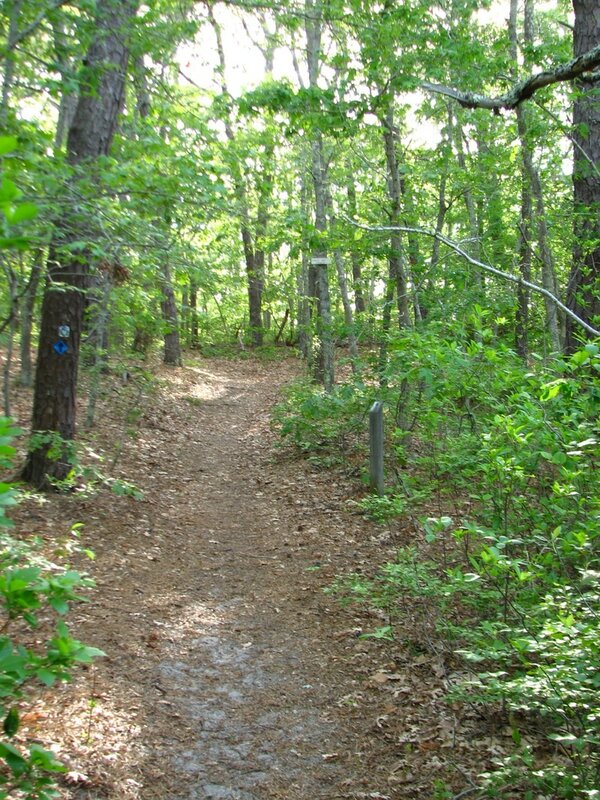 exact parking locations for each trail.